Your students will enjoy learning to count and play rhythms by using Rhythm Rulz just a few minutes a week. Rhythm Rulz uses tried-and-true rhythm flashcard concepts, but updates them with 21st century technology. 230 rhythm slides allow music educators and private instructors to teach and practice rhythm counting with their students. 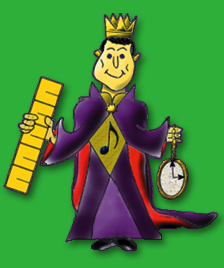 The innovative "Rhythm Ruler" will help students understand duration (length of note) much more quickly and thoroughly. Rhythm Rulz software is designed for use with your ensemble (band, orchestra, or choir), yet is flexible enough to be used by individual students. Rhythm Rulz teaches students with visual, auditory, and kinesthetic learning styles. It presents rhythms in a logical sequence in the Study Mode. Students understand the rhythms from a cognitive standpoint through the use of the "Rhythm Ruler" and the "down-up arrows." Regular practice with the rhythm slides in the Practice Mode reinforces counting as a psychomotor skill. It is easy to count, clap, or play the rhythms as a class. Practice them in a logical sequence, or challenge your students by presenting the rhythm randomly. Rhythm Rulz works with any counting method. However, two counting systems are included: the traditional "1 E + A" and an exceptionally effective "down-up" system that relates counting to foot taps. Rhythms are presented with pauses for interactive learning tools. This mode is best for learning rhythms. Rhythms are presented in time with a metronome of your choice. This mode is best for reviewing rhythms and increasing the speed of rhythm recognition. The possibilities are endless, yet we have created a handful of group games to guide your class session. Highly flexible and adaptable, Rhythm Rulz is suitable for for individual instruction or classroom lessons, with any instrument and in any ensemble. Watch as your students begin to enjoy learning and practicing rhythms.